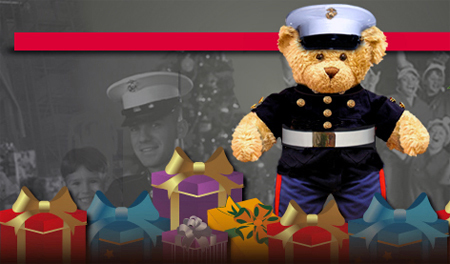 Every year our Marines collect gifts for America’s neediest children and now that close to 25% of our nation’s children are living at or below poverty, programs like TOYS FOR TOTS are needed more than ever. Christmas is such a magical time for children and putting a smile on their faces would mean so much. I’ve learned over the years that helping others also puts a smile on my face and it’s the truly small gestures that make a huge difference in another person’s life. So, if you are blessed and can volunteer your time or can afford to purchase a toy or two please do. Thanks for having a generous and kind heart.